It’s the middle of hurricane season. What if you lose access to your data in the aftermath of a storm? 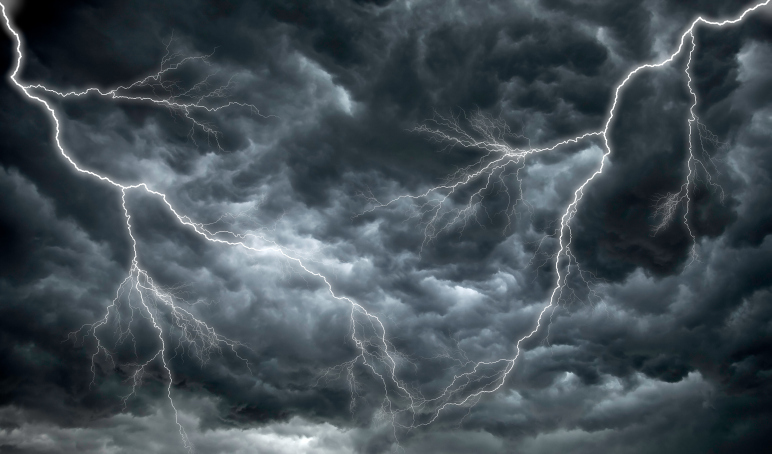 Has your business planned for the next “Frankenstorm” or another catastrophic event? If you haven’t planned for a worst case scenario, act now to establish the critical processes around IT backup and disaster recovery. Along the way, you’ll want to develop a clear understanding of where the cloud fits in and how it can help you save time, money and resources. Remember that data loss may not always be the result of a major natural disaster. Hardware failure, human error, system failure, natural disasters, computer viruses, theft and accidental deletion all contribute to the data loss problem. It only takes one little security patch that wasn’t performed, a hacked password, a rotting tree that falls on the building server room, a coffee spilled on a server, a leaky roof over the server room or an unauthorized person gaining access. The consequences? Data loss and downtime can cripple your entire operation. One in four businesses forced to close for at least 24 hours following a disaster simply never reopens. 1. Identify the risks. List and categorize threats associated with natural and man-made disasters and their likely impact on your systems. What it would take to knock out your entire network (and by extension, perhaps, your customers’ networks)? How much unplanned downtime can your business sustain? 2. Inventory your IT assets. Which are most critical to business continuity? What is your tolerance for loss of those assets? From a budgetary standpoint, remember that the cost of the response should be balanced against your tolerance for system downtime. The less downtime that can be tolerated by your organization, the more it will cost to create an appropriate response. 3. Define your goals. Can you shut down after a disaster or do you need to recover somewhere else? Define your goals in terms of RPO (Recovery Point Objective, “How much data can we lose?”) and RTO (Recovery Time Objective, “How long can we be down?”). Some systems must be functioning again within minutes or seconds, while others can be down a few hours, and still others can be down for a few days without serious consequences. 4. Develop a plan. Map out a plan for your worst case scenario. What happens if the office building and your on-premise data center burns down? Your plan should include your “IT Assets Inventory,” data protection procedures and contingency plans, notification/activation schedules, a list of roles and responsibilities, a list of resource requirements, details about training provisions, maintenance schedules and backup/recovery testing schedules. 5. Understand where the cloud fits in. Today’s virtualization technologies are making backup and disaster recovery vastly cheaper and easier. Below, we’ll explore this further. 6. Implement the plan. How will you distribute your plan and get senior management buy-in? Senior executives should understand the consequences of system disruptions; you need to win their support (and funding for) contingency policies. 7. Test the plan. With cloud-based disaster recovery, testing is easier than ever before. Your efforts to keep those plans updated will help ensure the survival of your business. Businesses that are actively building an IT disaster recovery plan, within the context of developing an overall business continuity strategy, should think seriously about how the cloud can help. Why? While it’s critical to have backed up files and data, remember that if your infrastructure is knocked out, you’ll also need to recover the applications on which those files and data run. But isn’t replicating your entire infrastructure to a remote, disaster resilient location designed to be “always on” difficult or costly? No, and that’s where the cloud fits in. The combination of the cloud and the right backup and/or disaster recovery solution breaks the old school incremental and full backup model and replaces it with continuous data protection. Continuous data protection takes frequent snapshots of your systems, so your backups always run – 24/7/365. In the old days, recovery meant travelling to a remote site to retrieve tapes, having hardware on standby or ordering new, and then beginning the cumbersome and often unreliable process of restoring data. In the cloud, this has all been replaced with one idea – virtualization. Recovery in the cloud requires no travel and no extra hardware, and it offers extreme levels of reliability. Should a disaster occur, the right cloud solution allows the continuously backed up systems to be restored as virtual machines. Imagine a world where your entire infrastructure could be physically lost, and within hours, be up and running again in the cloud. That time is now. Cloud backup and disaster recovery solutions allow the backups to be recovered into a virtualized environment as virtual servers. Virtual servers are hardware independent, meaning your operating system, applications and data all come alive exactly as they were on the original hardware. Once virtualized, machines can be moved quickly and easily between data centers. The ability to test the backup and restore process frequently, without disruption to employees, also becomes much easier. All of these benefits speak to why compliance-focused businesses are finding that virtualization technologies make it simpler to comply with stringent regulations governing electronic storage and access to data — such as those rules defined by Sarbanes-Oxley, Gramm-Leach-Bliley, the Health Insurance Profitability and Accountability Act (HIPAA), FISMA, NASD and NYSE. When IT professionals who are held to these high standards of accountability see first-hand all of the benefits of backup and disaster recovery in the cloud, tape backup no longer makes sense, and is, in fact, very difficult to justify. Because cloud-based backup and disaster recovery typically can be had for a predictable monthly cost, more flexible contracts and no added capital investment, senior management buy-in becomes less of a hurdle. The right cloud solution affords comprehensive protection for your infrastructure by minimizing data loss and providing rapid and flexible recovery models. The days of tape, like the days of VHS, have passed us by. The cloud has become the new baseline for safeguarding your infrastructure. Jay Atkinson is the CEO of AIS Network, a pioneer in the hosting industry. AISN is the premier provider of data and applications hosting to the Commonwealth of Virginia as well as numerous large enterprises throughout North America.